Nantong’s Tongzhou district held its first job fair in 2019 in the district’s sports center on Jan 28. More than 200 companies in Tongzhou district participated in the job fair, wishing to find employees that fit the roles they are looking for. A total of over 6,000 job positions were provided in the fair, including mechanical operators and die carters. More than 6,000 job hunters were attracted to the fair. 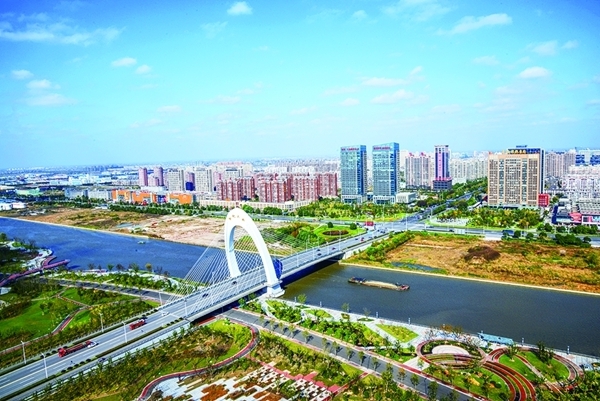 “I’m a Tongzhou native, and my hometown has developed very quickly in recent years,” said Chen Lin, a fresh college student from Nanjing Institute of Information Technology. “My parents want me to find a job close to home, and I have contacted several companies in Tongzhou district today,” said Chen when being interviewed by reporters from Tongzhou Daily. Many job seekers gathered in front of the booth of Tongzhou Yijian Construction Engineering Co Ltd (TYCECL). “In previous years, the job fair was held after Chinese Lunar New Year, but this year, it’s held before, thus ensuring the employee supply,” said Qiu Dandan, human resource manager of TYCECL. “We will provide attractive payments for employees recruited at the job fair, wishing to retain excellent people with professional skills,” she said. “More than ten job seekers have registered in the company within half an hour,” she added. More than ten departments have made joint efforts to hold this job fair, setting up an information desk to answer the job seekers’ questions. Nantong’s Tongzhou district is located on the north of the Yangtze River Delta.